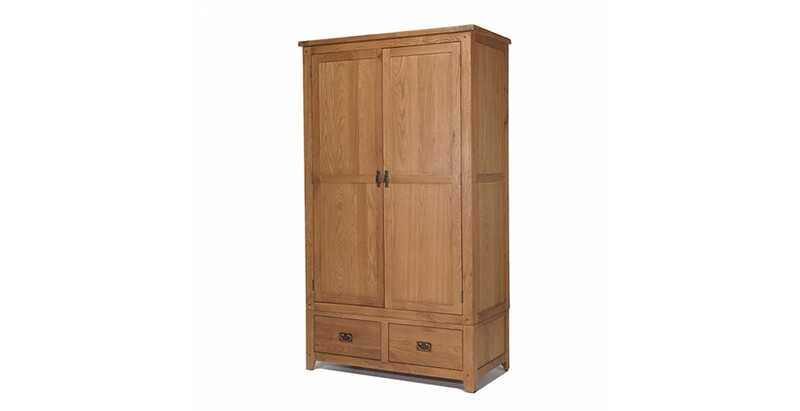 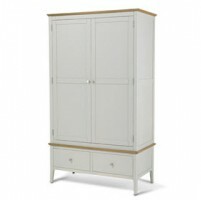 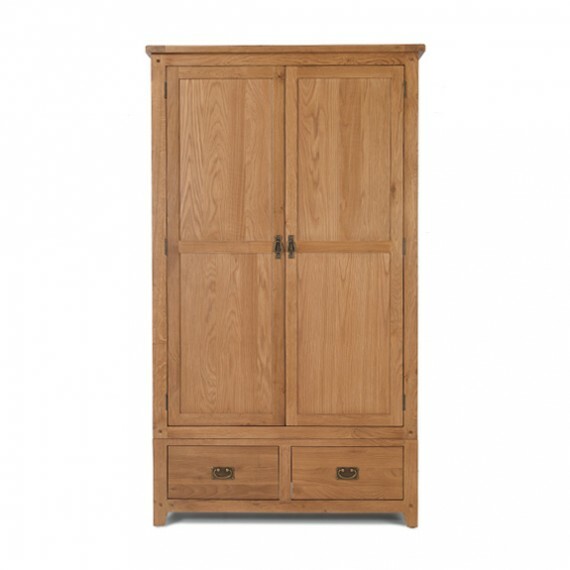 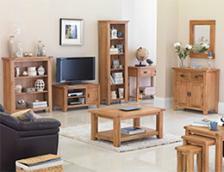 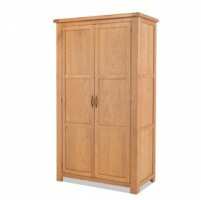 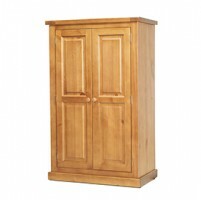 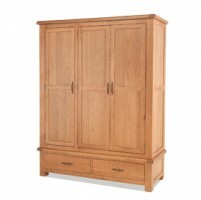 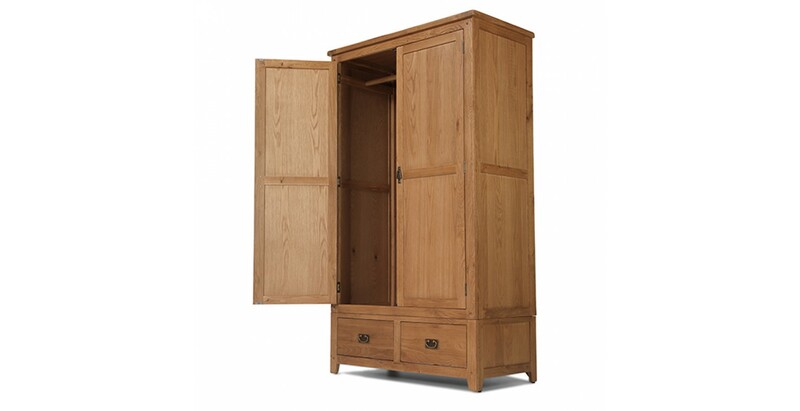 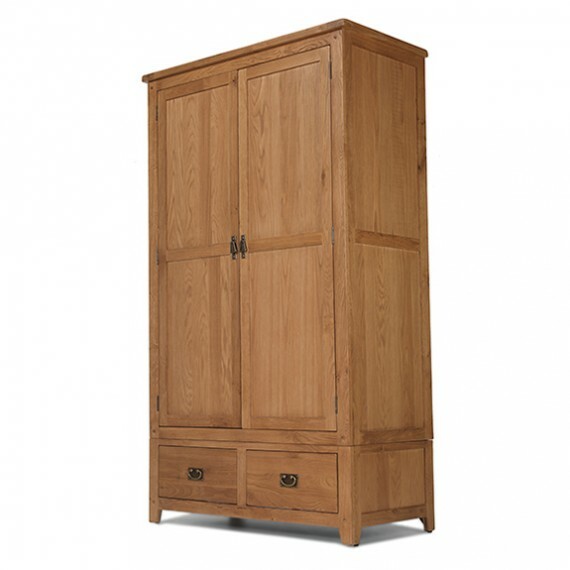 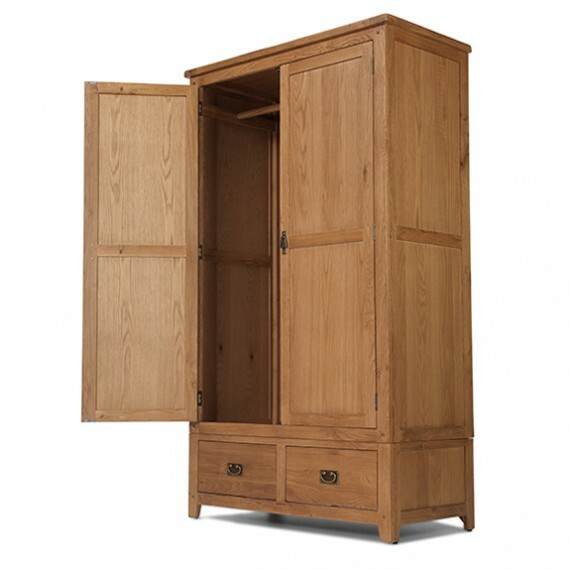 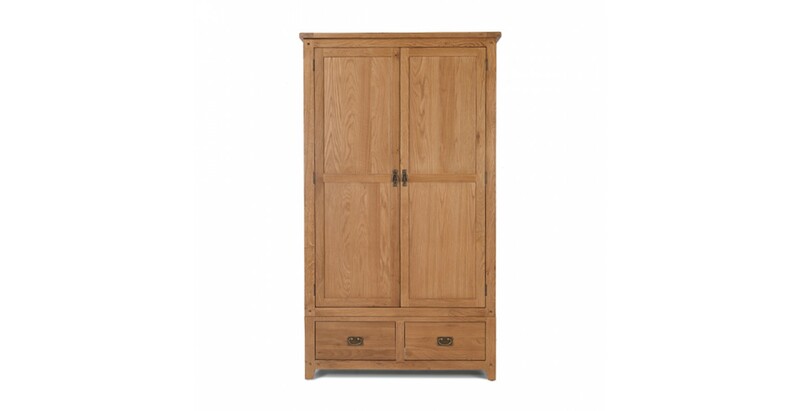 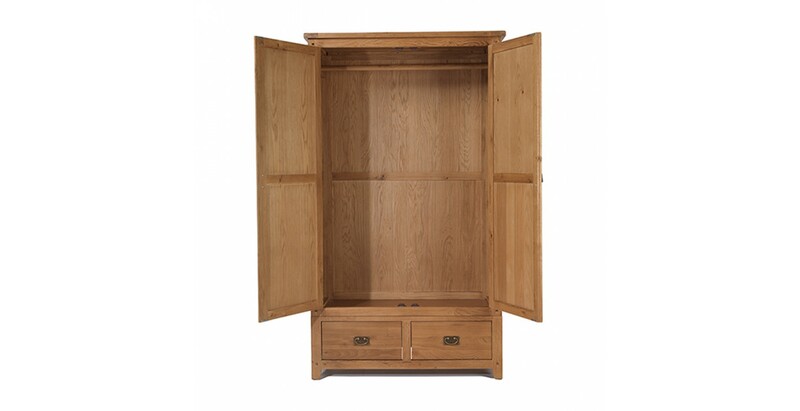 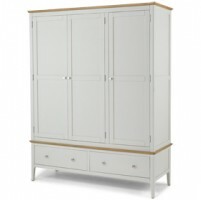 Beautiful to look at, solidly made and with plenty of storage space for your clothes, this oak wardrobe is a winner. 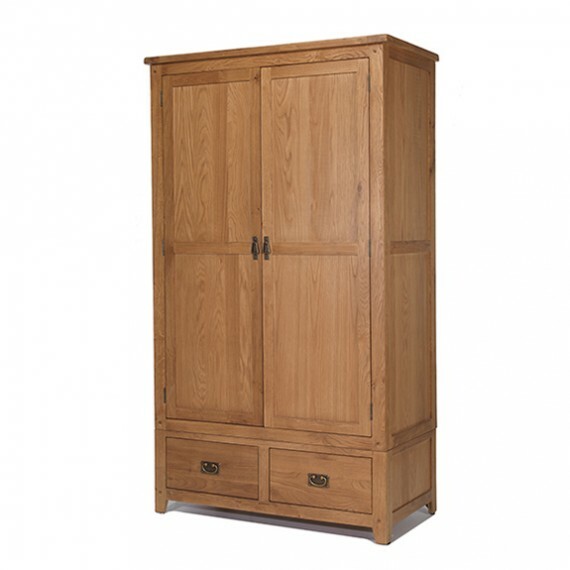 With warm, country cottage appeal, it will be at home in almost any setting and will look superb teamed up with other pieces from this rustic range. 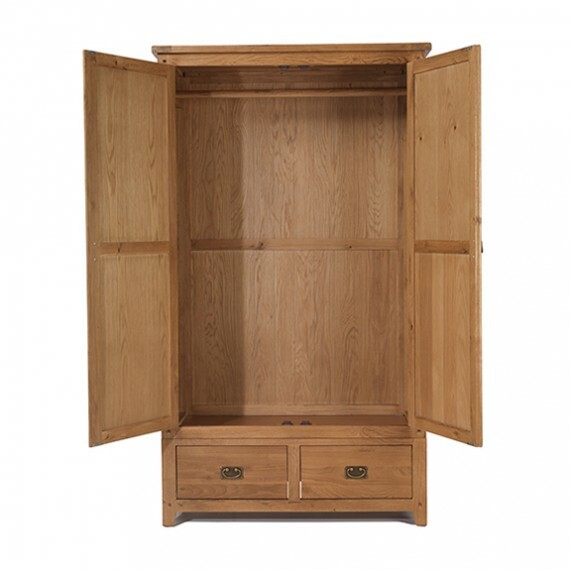 Expertly crafted using traditional joinery techniques, it has full width hanging space and a pair of spacious drawers for jeans, jumpers, bags and other large, bulky items. 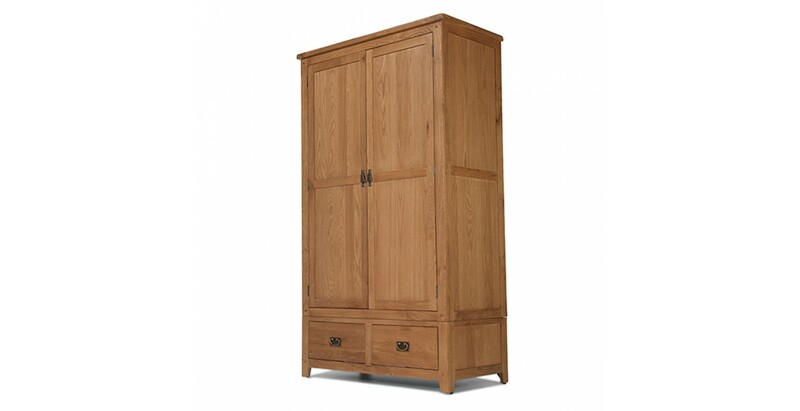 Take a closer look and you'll notice the subtle peg detailing, gently rounded corners and vintage-style metal drop handles which all add to its attractiveness.